The combination that delivers the first and last cloud Financial Management Solution your business will ever need. With the powerful combination of Sage and Intacct, the Sage Business Cloud offers the best capabilities of both companies. Now your growing business can tap into the only AICPA-preferred partner, and the fastest independent growing mid-market cloud Financial Management Solution in North America. You'll benefit from the expertise of a Gartner Visionary, as well as the world's leading small and medium business cloud Financial Management Solutions company. And it's the only cloud Financial Management Solution that scales with you as you grow and thrive. When it comes to our customers, Sage and Intacct have many things in common – like reliable, industry leading, world-class operations and a customer experience you know and appreciate. So whether you're a Sage or Intacct customer, you can rest easy knowing that our valued relationship with you will continue – business as usual. "Today marks another pivotal moment in our strategy and we are thrilled to welcome Intacct into the Sage family. The acquisition of Intacct supports our ambitions for accelerating organic growth by winning new customers at scale and builds on our cloud-first acquisitions, strengthening our integrated suite of cloud solutions. 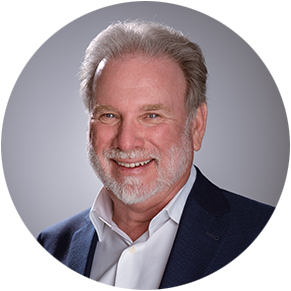 Intacct opens up huge opportunities in the North America market, where over half of our total addressable market is located, for our business and for our partners as they grow with us, and it further enhances our ambitions to emerge as the global category market leader." "We are excited to become part of Sage because we are relentlessly focussed on the same goal – to deliver the most innovative cloud solutions for our customers. Intacct is growing rapidly in our market and we are proud to be a recognized customer satisfaction leader across Midsize, Large and Global Enterprise businesses. By combining our strengths with those of Sage, we can jointly accelerate success for our customers."